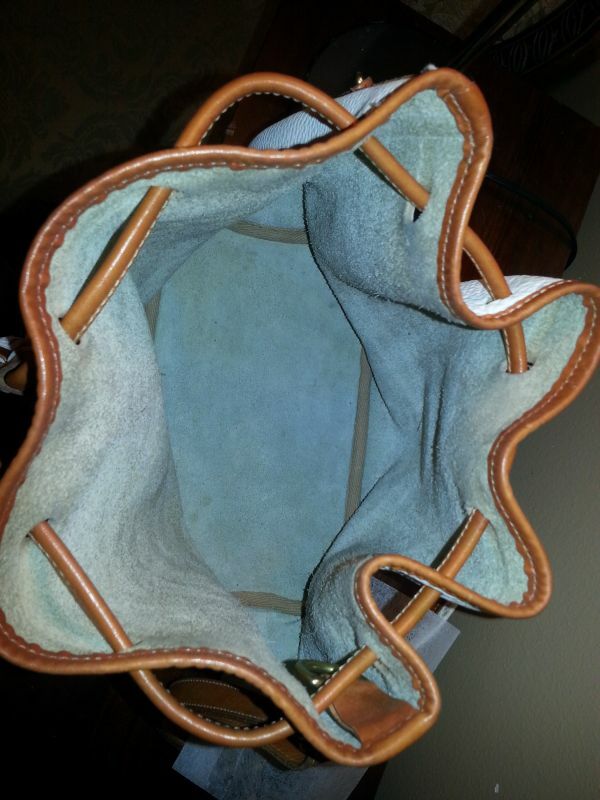 Paula – I bought this Outback bag for a song – did I do good? 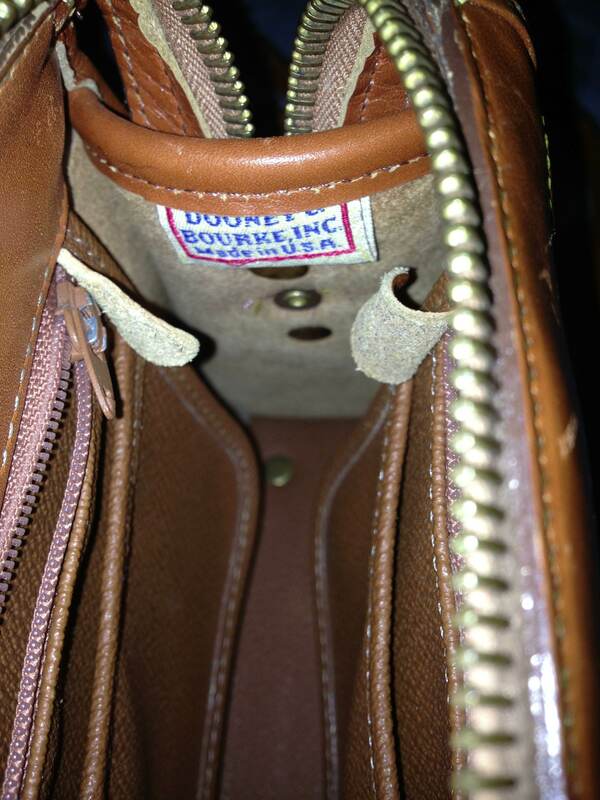 I really appreciate and enjoyed learning about D&B bags looking at your site. It is very helpful and informative, thank you! 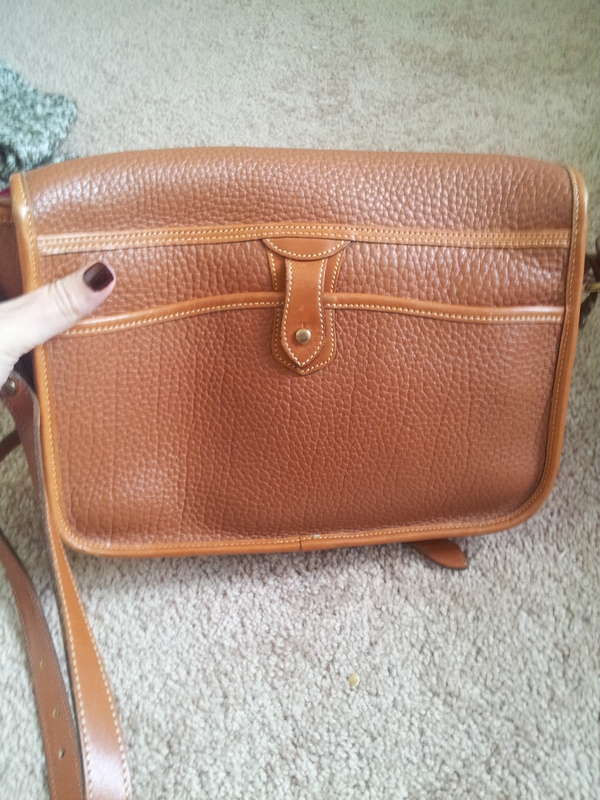 I am writing because I recently purchased a bag which appears to be a Medium Double Pocket Outback bag. I got it for a song so am of course skeptical. 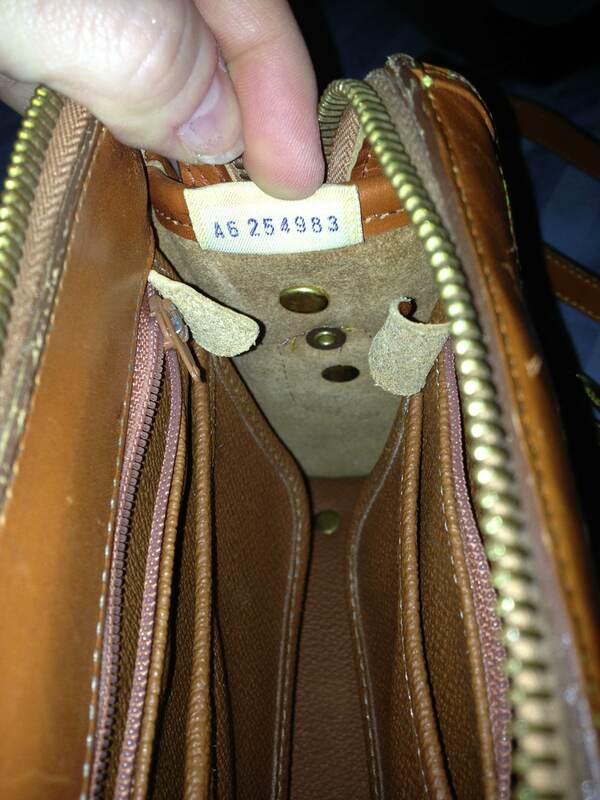 I am no bag expert but with the help of your site I was able to deduce the name of the bag. 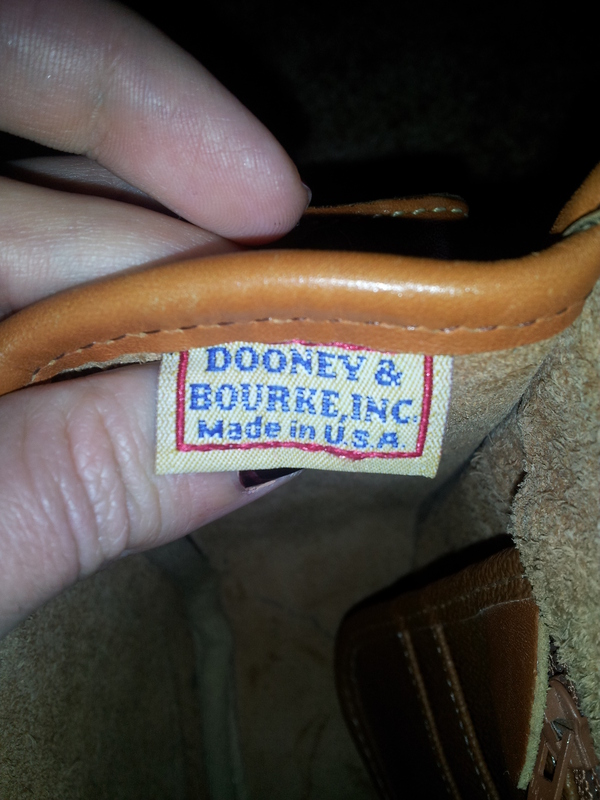 I also compared it to the checklists for authenticity and it came out pretty well. 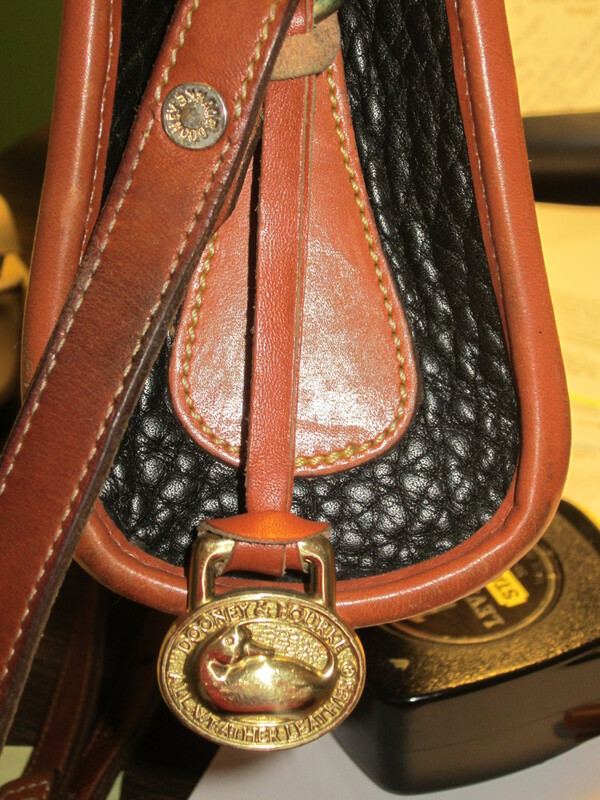 I do not have the fob but the accents (brass, stitching, etc.) and material seem correct. 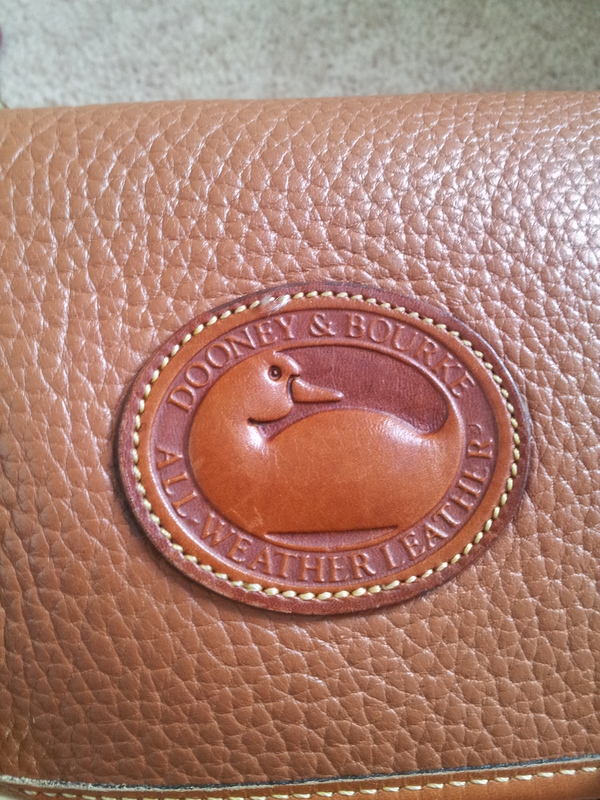 The ducks eye has a rather small looking pupil though, and I the interior pockets (there are the correct number of them) are not made of leather. 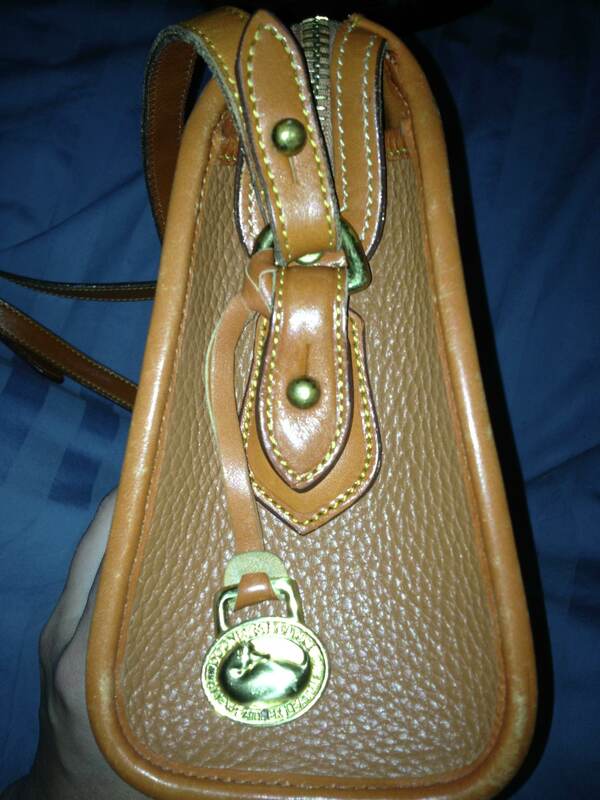 The interior zipper pull is Talon brand as well, not the ‘riri’. 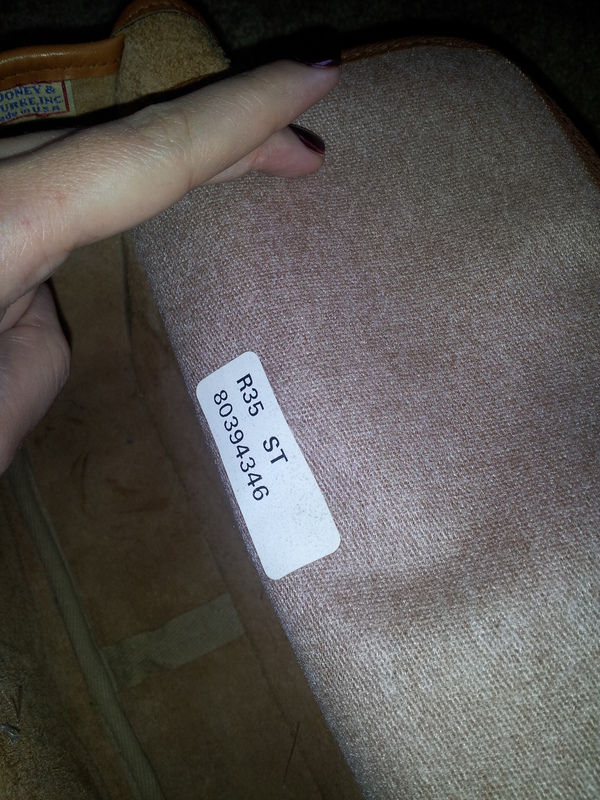 The interior sticker says R35 ST 80394346 and the bag is tan on tan. 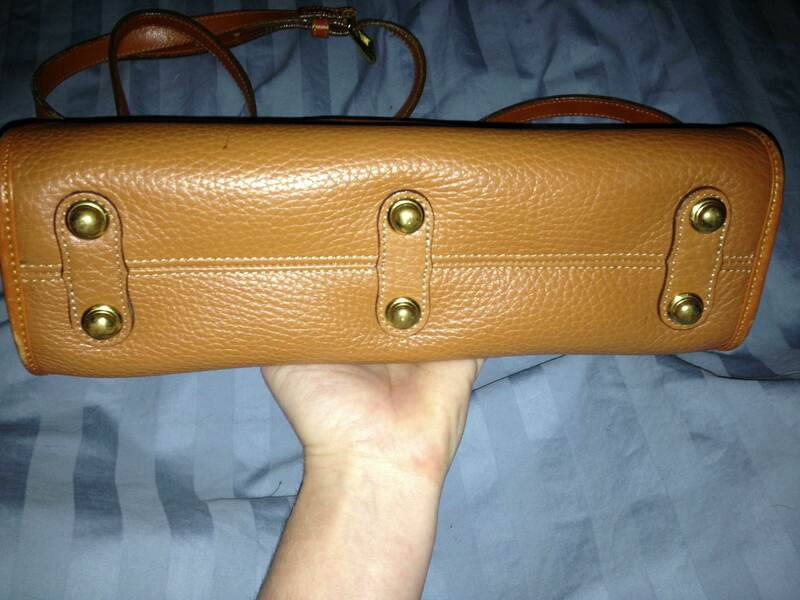 I would very much appreciate any help you could offer at authenticating the bag. I think its a real stumper! Thank you for taking the time to look at this bag. 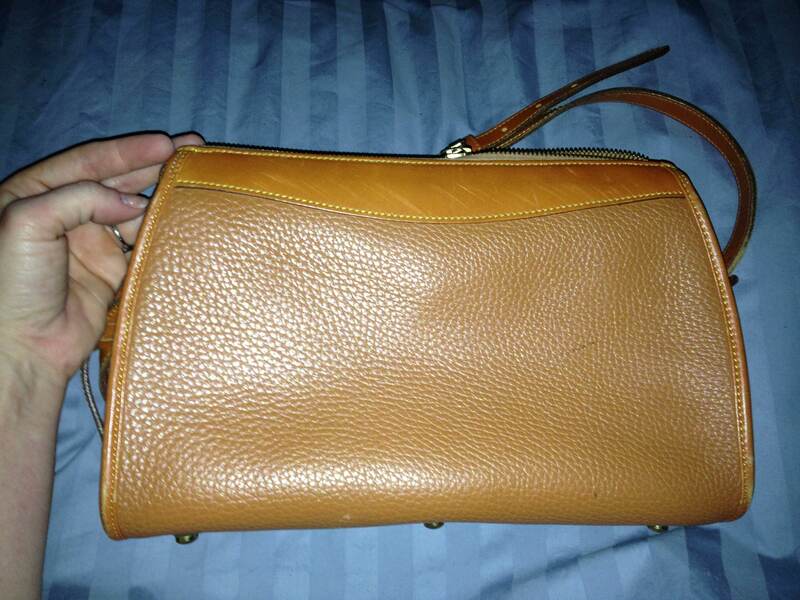 Please let me know if additional pictures would help you discern the bag’s quality. 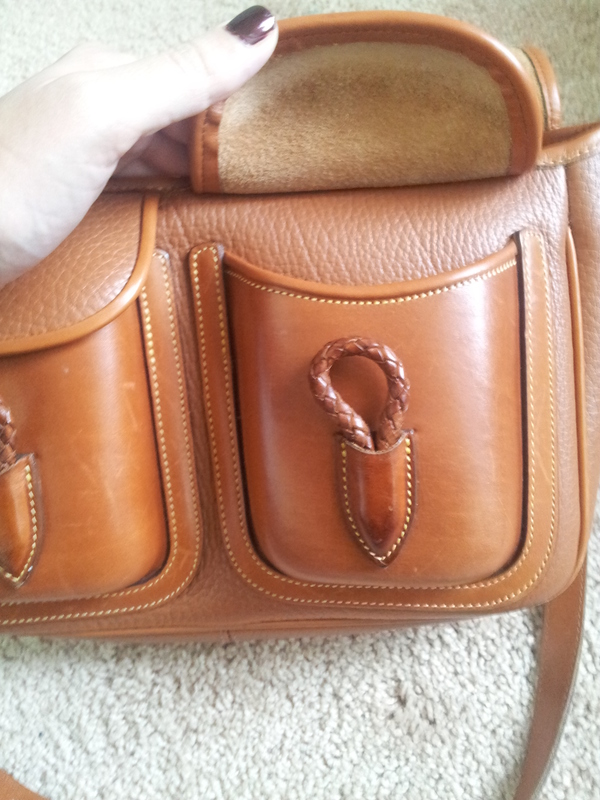 I bought this bag at a thrift store and am hoping that I found an amazing deal. Thanks again!! You did good girl !! 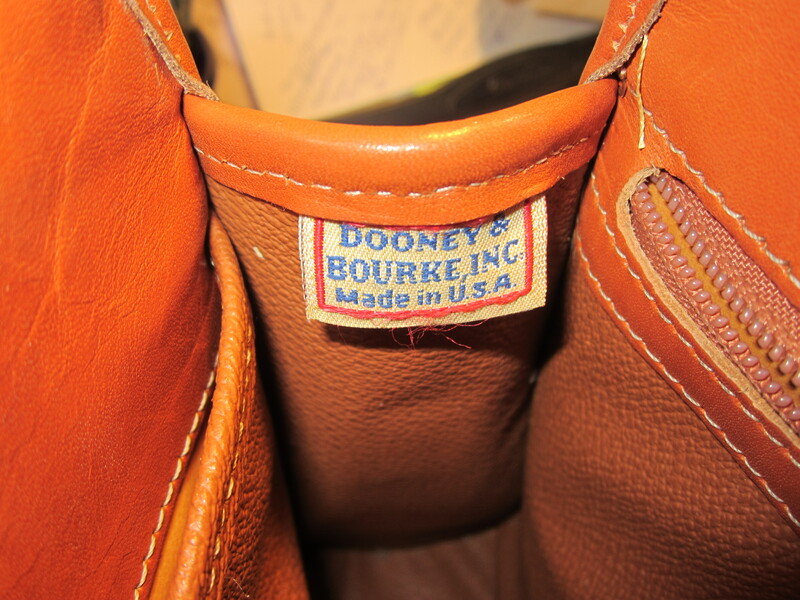 This is indeed authentic and a highly coveted model plus it is in a color that usually shows its wear – yours looks in pretty darn good shape. 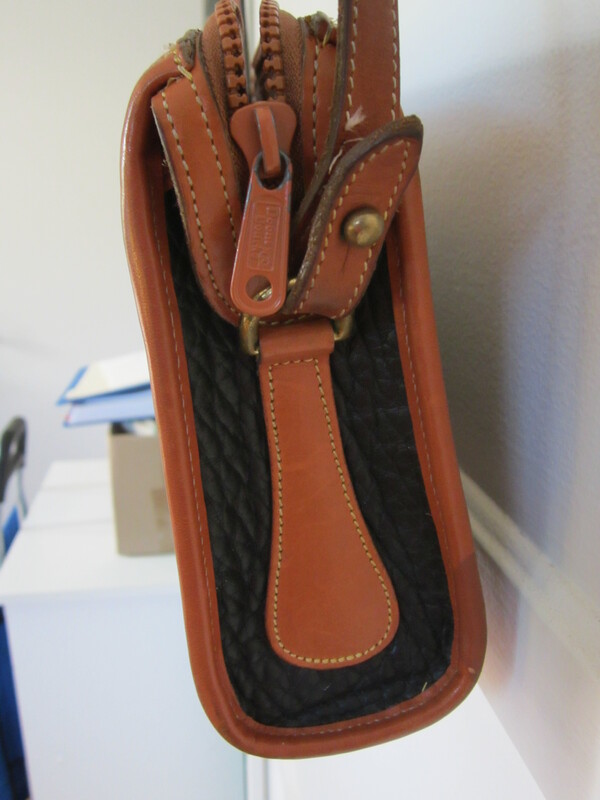 You wondered about the interior pockets – you thought they should be made of leather. 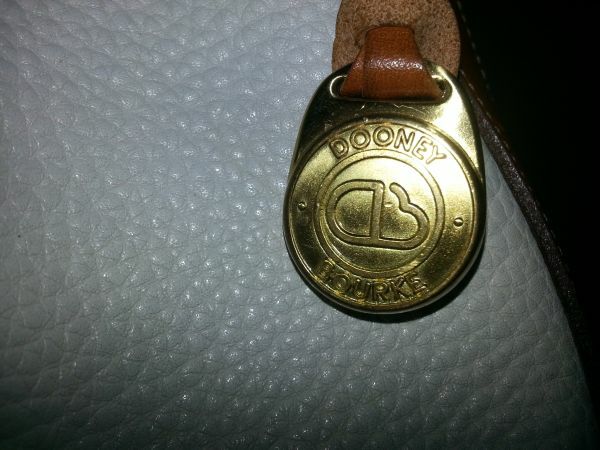 Actually most Dooneys have this type of snap, zip, credit card pocket combos and they are made from a Dooney & Bourke proprietary fabric-backed vinyl with a grain texture to look like leather. So you are OK there. 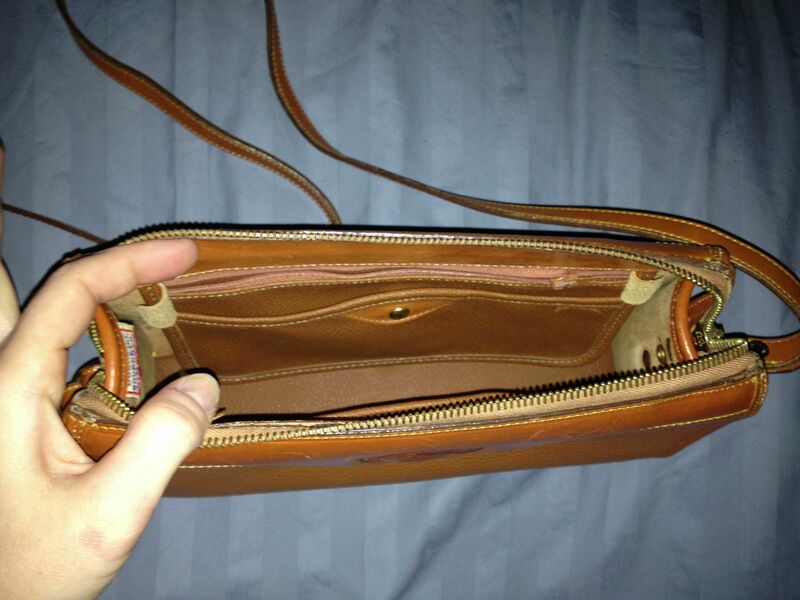 The riri zipper is only on certain models – your zipper for your interior pocket is fine. The fact that the fob is missing is not such a big deal. What’s great is that the tag is there and unsnipped. And it still has the sticker on the back side of the pocket. 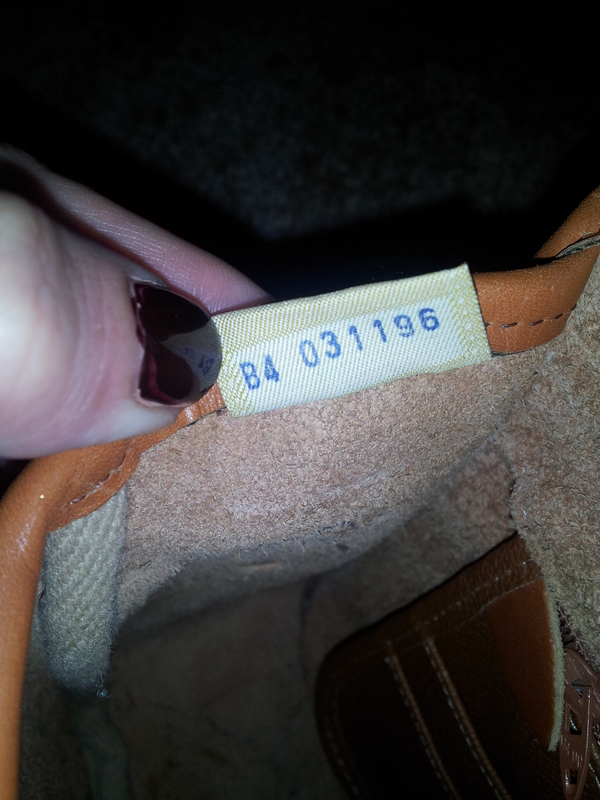 The R35 is the model number and the ST stands for Saddle Tan. 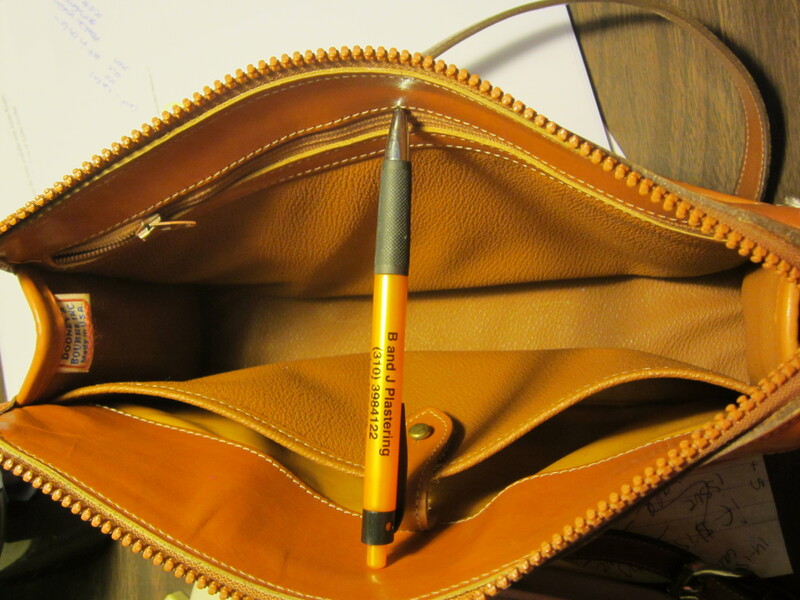 At first when you look at your bag you might think “All British Tan” but on closer examination, you can see that the British Tan Trim is a lighter color than the AWL of the main body of the purse. 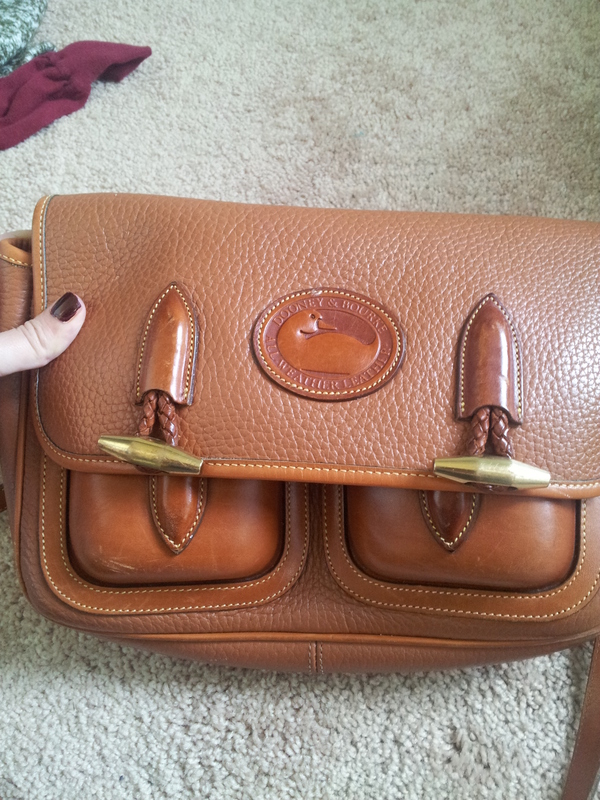 So your bag has the R designation which means a color of AWL (in this case Saddle Tan) with British Tan trim. 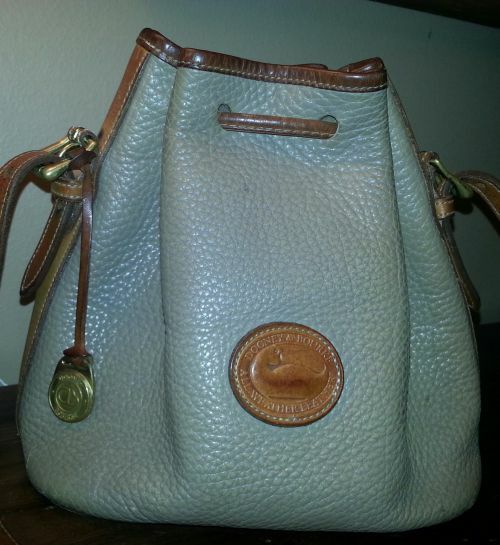 Here’s a similar bag we sold that you can click on to see all the specs. 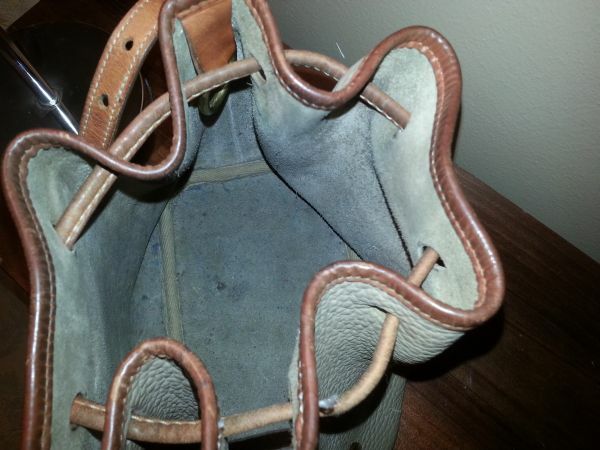 There was a line of 6 Outback bags, each with the characteristic molded front pocket (or pockets) and the turned solid brass toggle and braided leather cord loop. Here is the R34 Medium Single Pocket. That is if they were all in the same condition. So yes an early pristine bag would be worth more than a later pristine bag and both would be worth more than the new AWL releases. 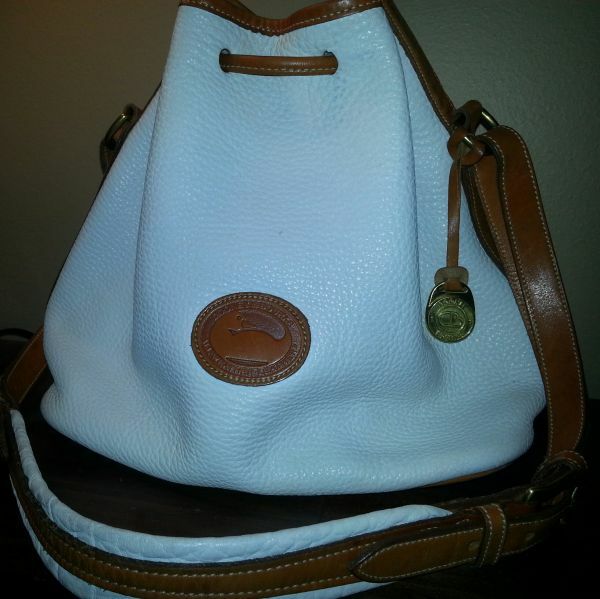 Your first bag, the white one looks nice !! The interior is clean and the British Tan is bright !! 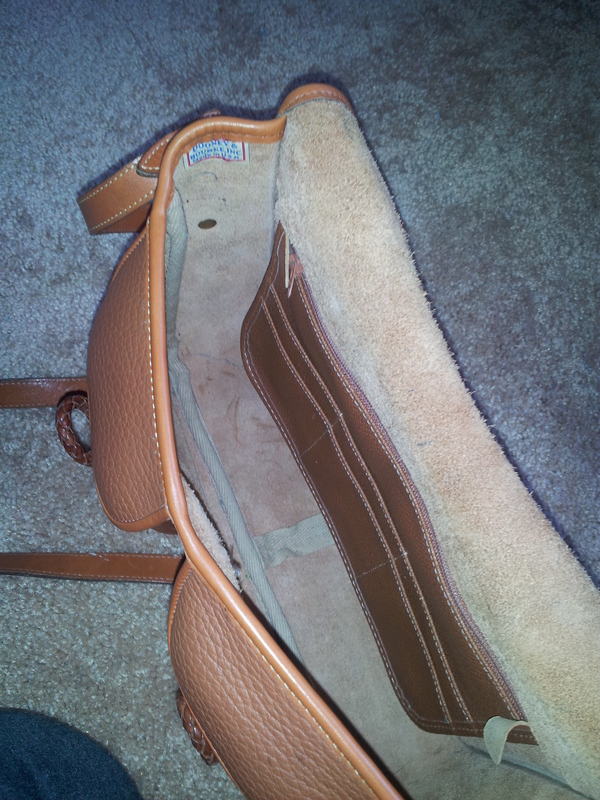 But the taupe bag, with its soiled interior and darkened British Tan would have a greatly reduced value. So value is a combination of vintage and condition.